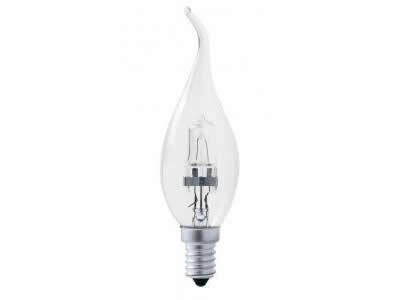 Halogen Bulb is a type of incandescent light bulb, introduced in 1958. The halogen bulb is capable of burning much more brightly than conventional light bulbs, and it is a popular choice for headlights and other applications for which very bright light is needed. In addition to burning more brightly, halogen bulbs are also more efficient and have a longer life expectancy than conventional light bulbs. The halogen bulb uses a design very similar to that of conventional light bulbs, consisting of a tungsten filament enclosed in another material. The halogen bulb uses quartz instead of glass, however, allowing the bulb to be much smaller because quartz can withstand higher temperatures than glass and therefore may be positioned much closer to the filament. In addition, halogen bulbs use halogen gases, instead of argon or nitrogen, two gases commonly used in conventional light bulbs. A light bulb works by applying electricity to the tungsten filament, which heats up and puts out light. However, as the filament heats, it also begins to break down the tungsten, which begins to collect inside the bulb, often leaving dark deposits. Ultimately, the filament will break at a weak point, causing the light bulb to burn out.